Superior wash mitt for a superior car wash! 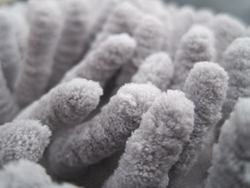 For your comfort, the Gold Plush Micro-Chenille Wash Mitt has a super soft double-insulated liner. The elastic cuff is double-stitched for durability and has an integrated loop for hanging, making it easy to dry your mitt. The Gold Plush Micro-Chenille Wash Mitt is designed for multiple uses. Use it for washing the bodywork, wheels, wheel wells, tires, and grill. The superior durability of this mitt allows it to hold up to rigorous use. 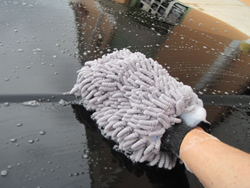 To prevent cross-contamination, we strongly recommend purchasing the Micro-Chenille Wash Mitt in different colors and reserving one for the paint and another color for the wheels and tires. 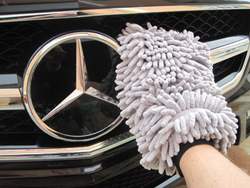 Pamper your vehicle with the Gold Plush Micro-Chenille Wash Mitt! See our Gold Plush Microfiber Towels for more ultra soft detailing tools for your vehicle. Have used it twice now and am happy with mitt at this point. I have had several mitts that I purchased at discount stores and they just don't compare to this mitt. Durable, yet extremely soft. ProsExcellent quality and holds lots of suds. This mitt is great! Good to have a dedicated washing cloth and I like to use the two bucket system - one for suds and one to rinse the dirt off before you dip back in the suds.